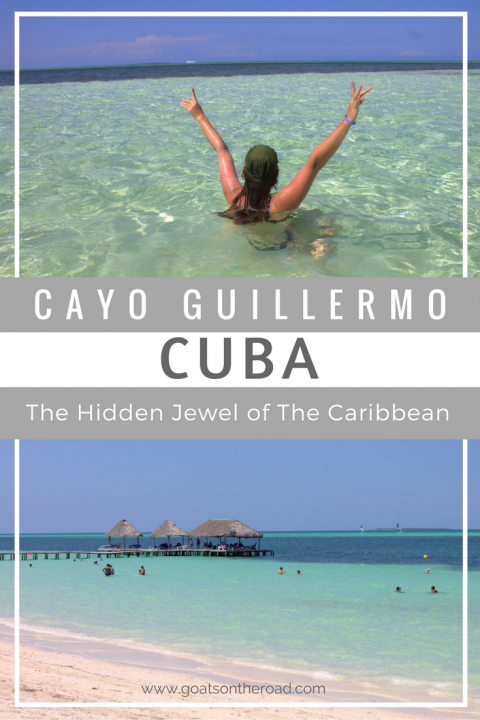 One of our most precious, if not the most luxurious (and costly) experiences in Cuba, was definitely our visit to Cayo Guillermo. Located on the northern coast of the country between the Bay of Dogs and the Atlantic Ocean, the place is a true paradise. 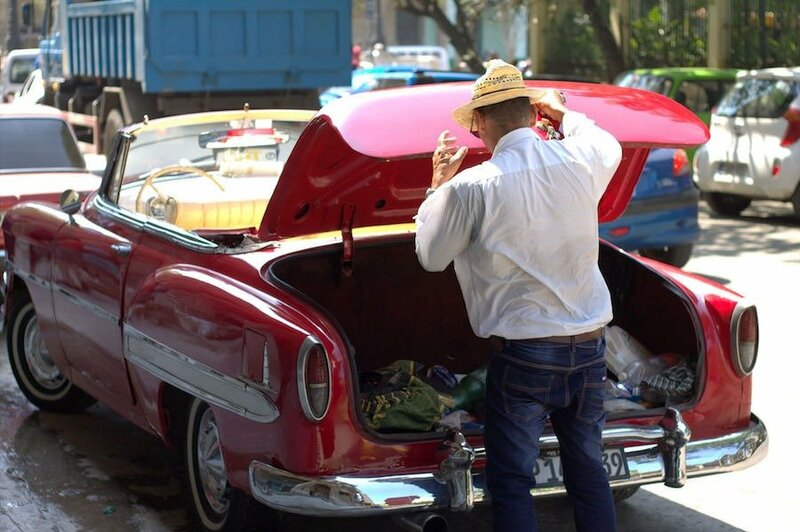 Think perfectly blue hues, fine white sand beaches, sunsets, Cuba libres and cigars. It’s a truly magnificent coastline and a rightful star of the Caribbean. 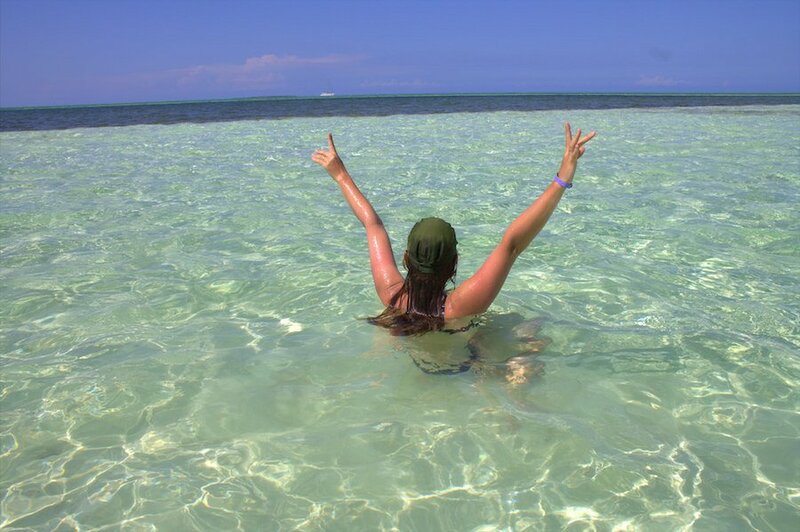 Cayo Guillermo was the place that made us realise we want more of this and sparked the plan to create our travel lifestyle. It was a major flashpoint in our lives, which have since changed dramatically after we stepped on one of the most amazing beaches we’ve seen so far. 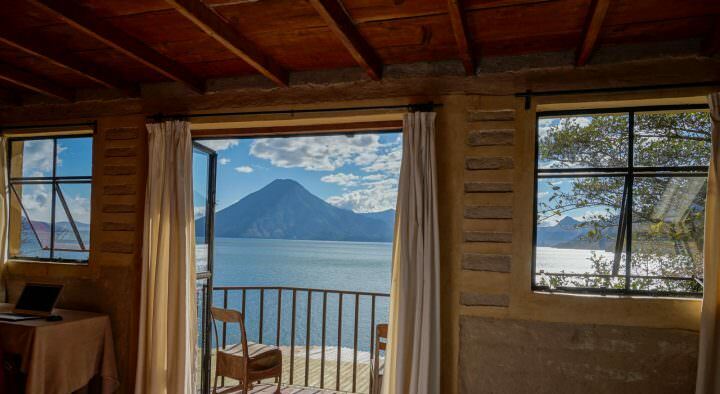 Even though it’s not such a backpacking destination, it’s well worth visiting for some chill time. The idyllic coastline is studded with resorts and the only way to enjoy it is to stay in one. 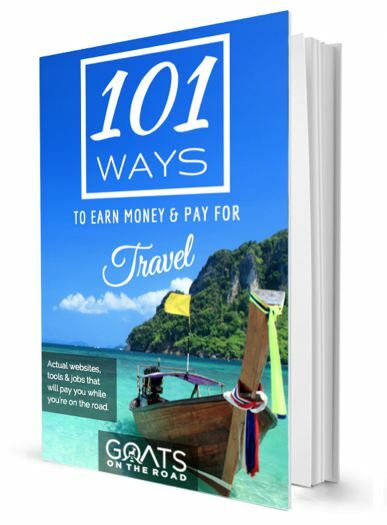 However, we can’t stress enough how worth it is to spend a few dollars more from your Cuba budget and chill by the pristine waters of the Atlantic Ocean. Especially if you are thinking of Varadero instead. 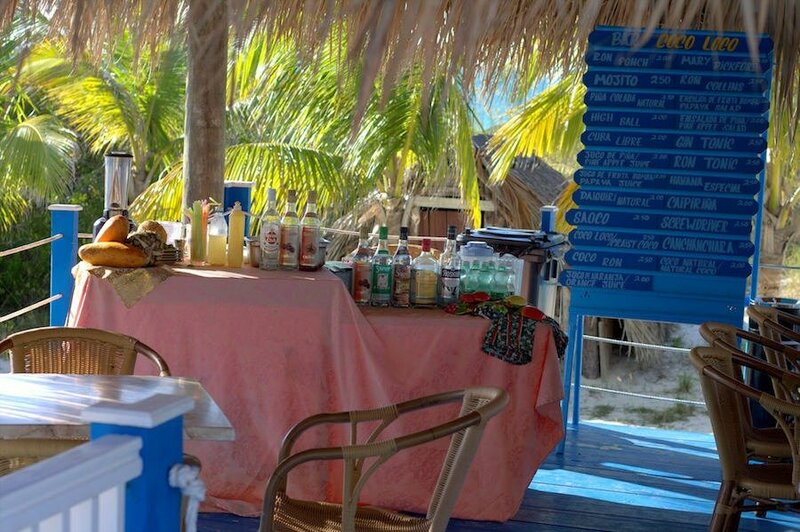 Cayo Guillermo, in our humble opinion, is a 100% nicer destination in terms of accommodation and beach quality. We stayed at the all-inclusive Iberostar Daiquiri resort and couldn’t really fault it. The staff were friendly and helpful plus the freshly prepared breakfast, lunch and dinner was delicious. But the best part of the resort, aside from the great food and beaches, were the bar staff, restlessly shaking Mojitos, Pina Coladas and mixing up wicked Cuba libres. Just don’t ask us how many of those we had during our stay, we just couldn’t resist. 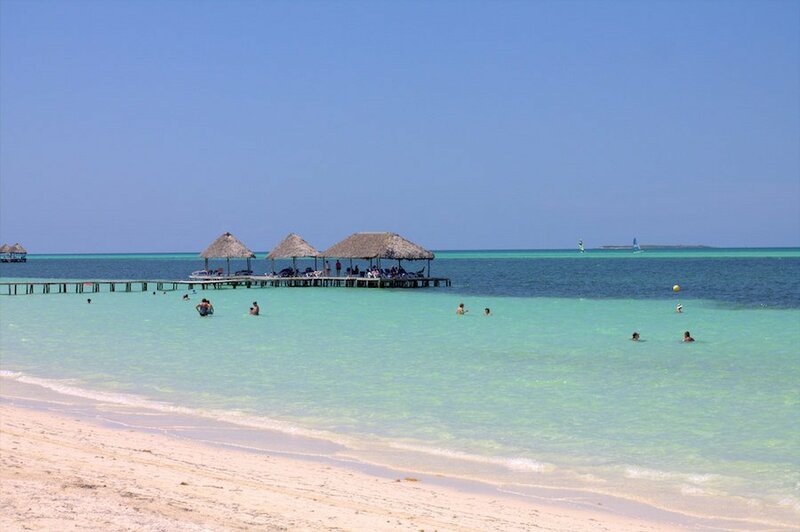 If you find yourself in Cayo Guillermo, you must visit the stunning, 500 meter long Playa Pilar beach. It’s a true white sand and crystal clear water paradise. The water here is so clear that you don’t even need snorkeling equipment. As soon as you stop moving, a school of colourful fish come to investigate you, pure bliss. We spent a whole day here enjoying the beach, swimming, and chilling out. Mesmerised by the beauty of this seacoast we even missed the last bus back to our resort. Luckily we were picked up by two friendly Spaniards or it would have been another long walk, doh! Don’t forget to check the timetable for the last bus back as there aren’t any taxis hanging around either. The beach was located around 7km from our resort, but as adventurous and money savvy as we are, we decided to walk there along the coast. We checked out the map and on paper it seemed easily accessible, in reality, it wasn’t. We do not recommend this option. While it was fun to explore, it was blazing hot and at times we had to cross construction sites, which wasn’t that nice. The winding coastline stretched into a much longer distance than 7km. Eventually we had to get back on the main road as the shore turned into the prickly woods. Miraculously we caught a cab on a deserted road and finally reached the hidden beach. So please don’t waste your time and energy, get a local bus from your resort or hail a cab and spend more precious time enjoying the diamond dust like beach. 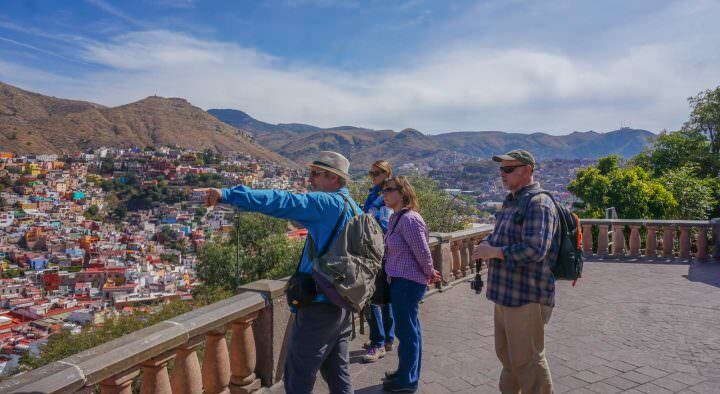 There are 4 hop on hop off buses per day, going between the resorts and stopping at Playa Pilar. Foodwise there isn’t much around, but you will find a cosy bar-restaurant built in the dunes, right on the beach. Prices range from 20 CUC to 40 CUC (1 CUC = $1 USD) per main course so you might want to have a hearty breakfast at your resort. Visiting one of the most amazing coastlines in Cuba calls for a tiny bit of luxury lifestyle. 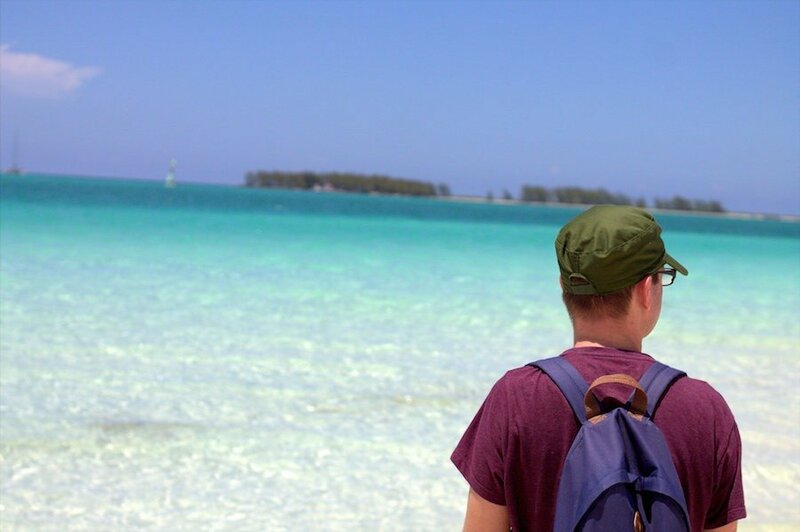 Jardines del Rey, an archipelago off the northern coast of Cuba is well-known amongst snorkeling and diving enthusiasts for its stunning 200 km long coral reef. 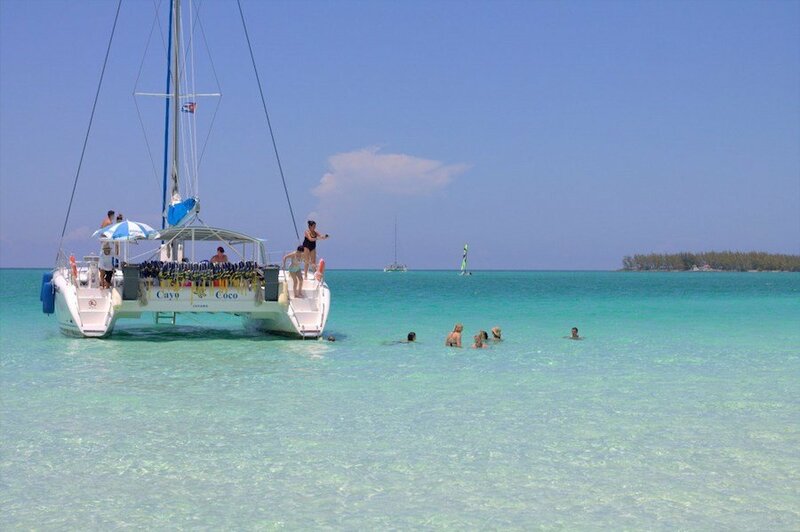 One of the easiest ways to experience this magnificent part of the world is by taking a catamaran cruise. 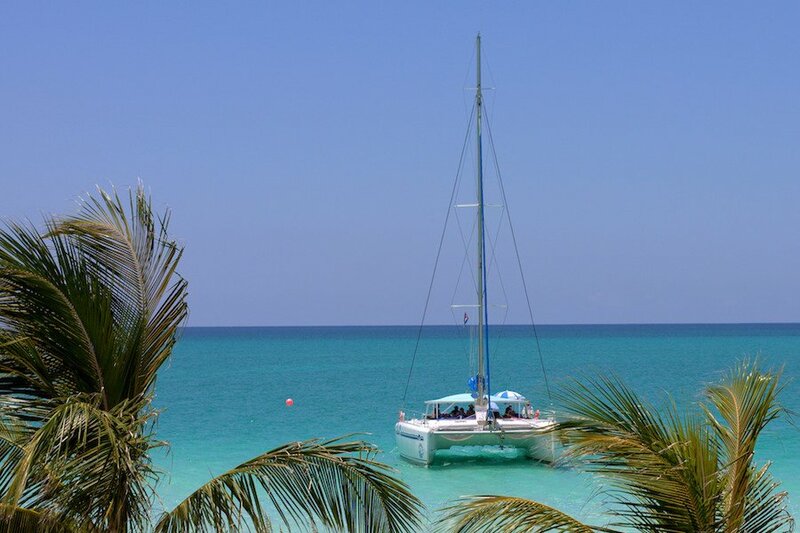 We booked a catamaran trip via an agent at our resort but you can always check out the Marina Cayo Guillermo directly. They offer a wide selection of all-day tours from snorkeling to deep-water fishing. We, however, were taken to the marina in Cayo Coco a bit further away but hindsight is a wonderful thing. 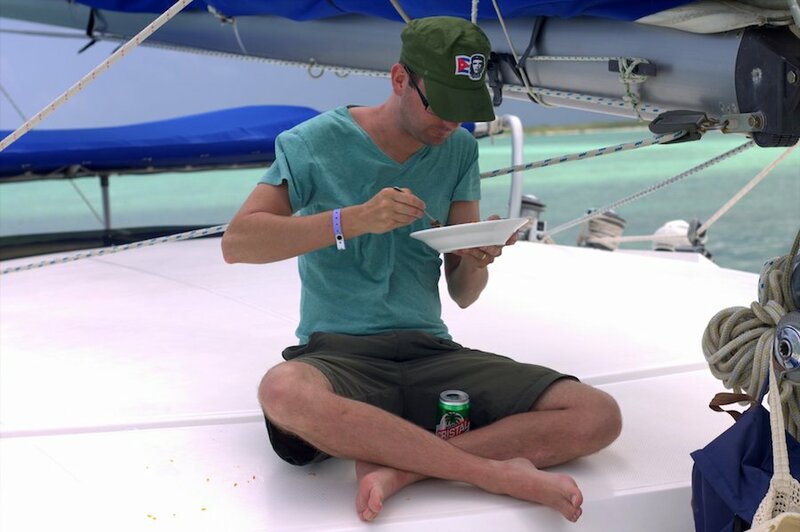 For around $80 per person our catamaran trip included 2 snorkeling and 2 swimming stops, lunch (chicken or lobster) and a very welcome, bottomless rum bar. The staff were really great, friendly and accommodating and the boat was beautiful. Although the snorkeling experience could have been better, we really enjoyed ourselves. We were brought back to our resort right on time for dinner! You can fly directly into the Jardines del Rey Airport located on Cayo Coco and your resort can arrange a transfer which takes around 45 minutes depending on the stops. 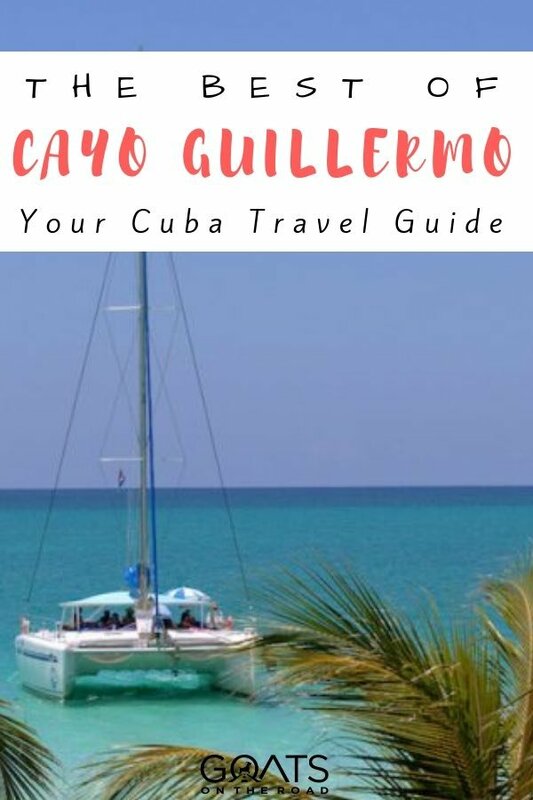 If you’re planning to travel to Cayo Guillermo from Havana or other cities, again, you can either rent a car and drive here yourself or hire a taxi. But before you book a government taxi, check with your casa owner whether they know a local ‘taxi driver’ who can take you there. 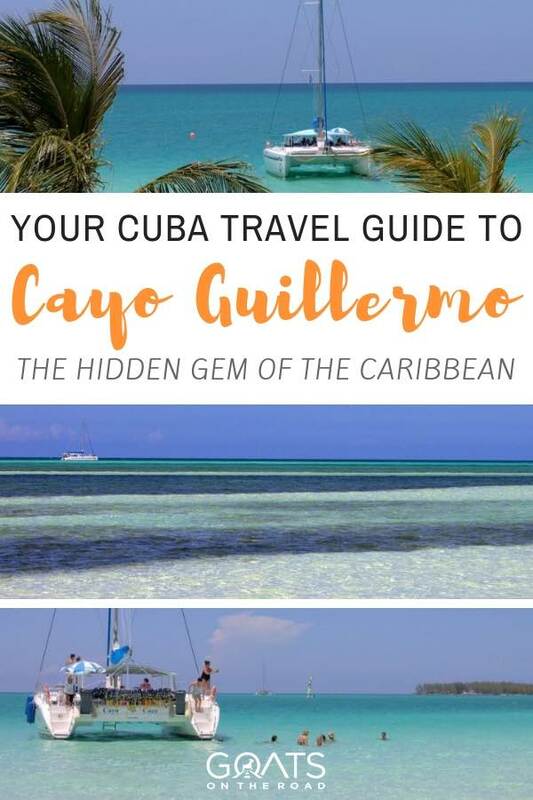 At the time of our travels (May 2015) there were no local buses available to take you to the resorts in Cayo Guillermo directly from the mainland. You’ll cross over the causeway connecting the Cayo Coco to the mainland and another bridge connecting it to Cayo Guillermo. It’s quite a ride, look out for pink flamingos gathered in the giant lagoon as you cross towards the archipelago. We stayed in casas throughout our trip in Cuba and found all the owners to be very resourceful and helpful. Our casa host in Trinidad arranged a lovely man to take us to our dreamy island paradise. 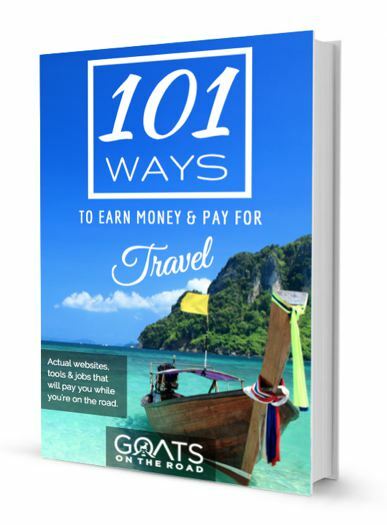 Make sure you have some spare cash, the 3.5 hour journey will cost you around $120 USD. 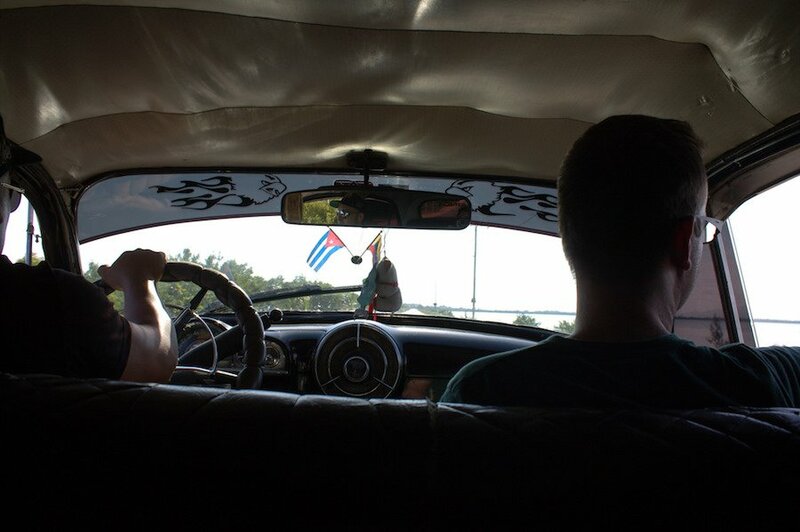 We also made arrangements with our driver to pick us up 3 days later and take us back to Havana. It took us around 7 hours at a cost of over $200 USD. Sharing a taxi with other travellers is a very cost effective idea in this case so ask around or leave a note at reception. If you’re looking to book a casa particular in Cuba, check out Airbnb and Booking.com! Despite the costly and lengthy journey, a few hiccups with the car and our lack of Spanish, we still had a brilliant time and would recommend visiting Cayo Guillermo when in Cuba. Cuba really sounds wonderful and hopefully we would be able to go and enjoy what they have to offer. It’s unfortunate that the political situation in the USA might be an issue to traveling to Cuba. We have to wait and see what to expect. Regardless, the beaches and the water look so beautiful and refreshing. Can’t wait to go. Your pictures make me want to hop on a plane and go to Cuba tomorrow. We’re having a family vacation soon and I’m planning for the trip. Is this place kid friendly? I have 2 boys, ages 9 and 6. Sorry for the delayed reply! I hope you were able to figure everything out? 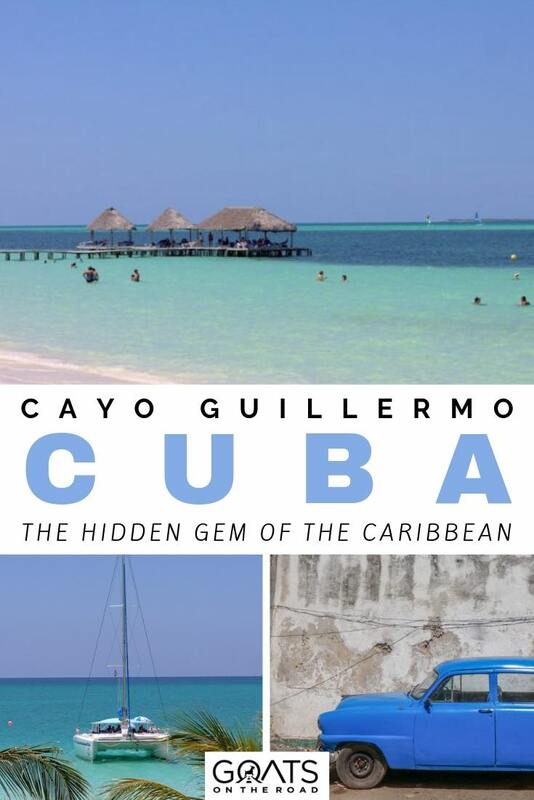 We are planning a trip to Cuba next April and we are looking for a taxi from Cayo Coco to Trinidad. Would it be possible to share the taxi driver contact please?